Krassjam entry by Honest Dan. 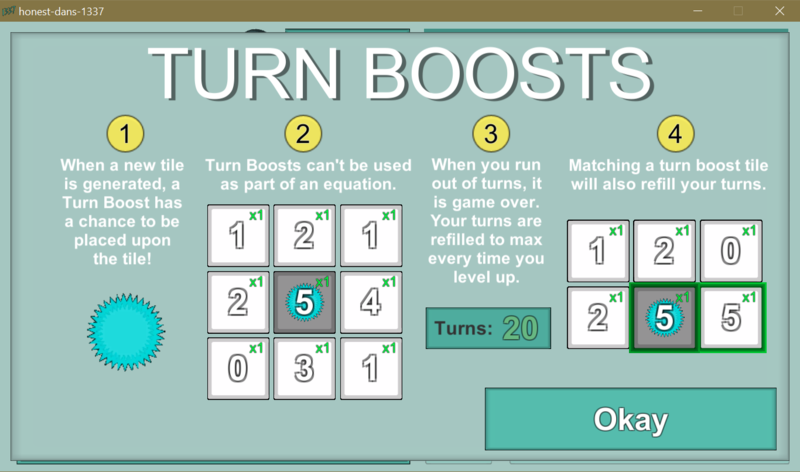 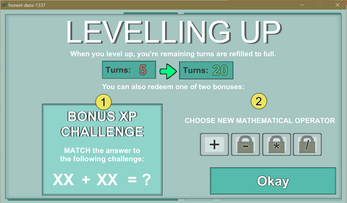 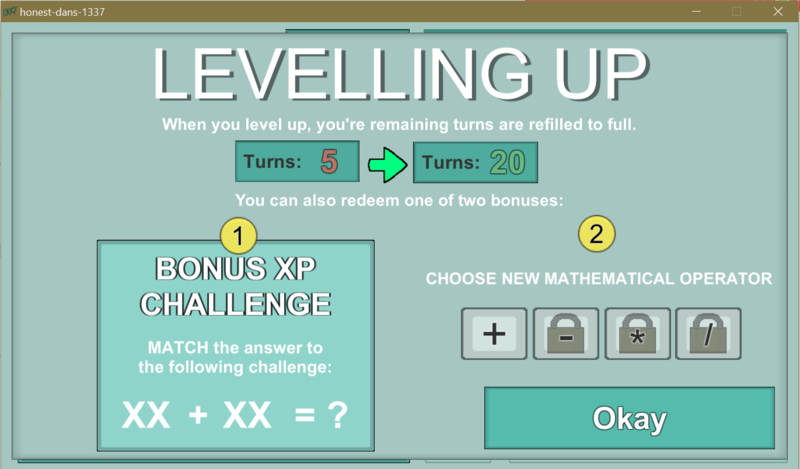 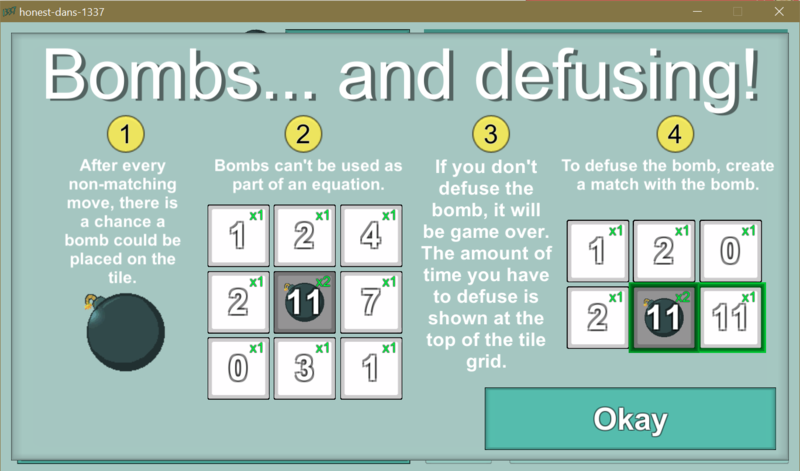 Brief "A game where you solve puzzles involving numbers to unlock bonus items". 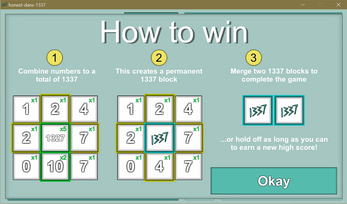 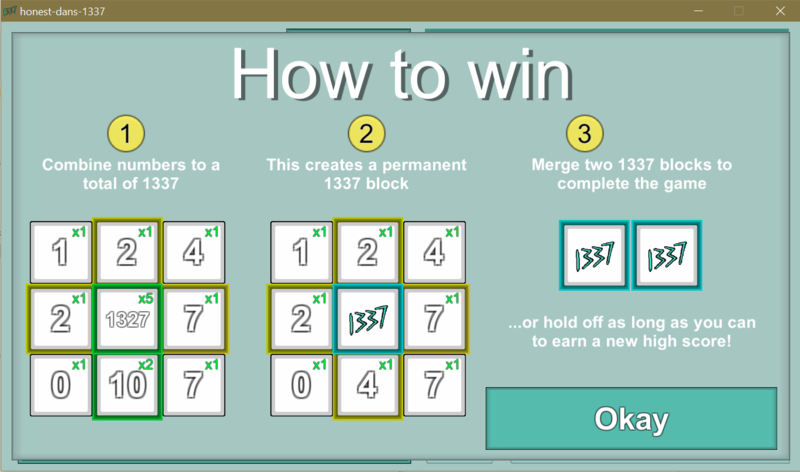 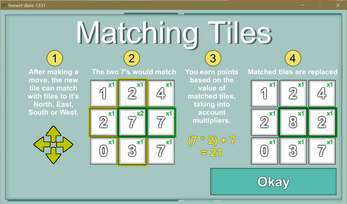 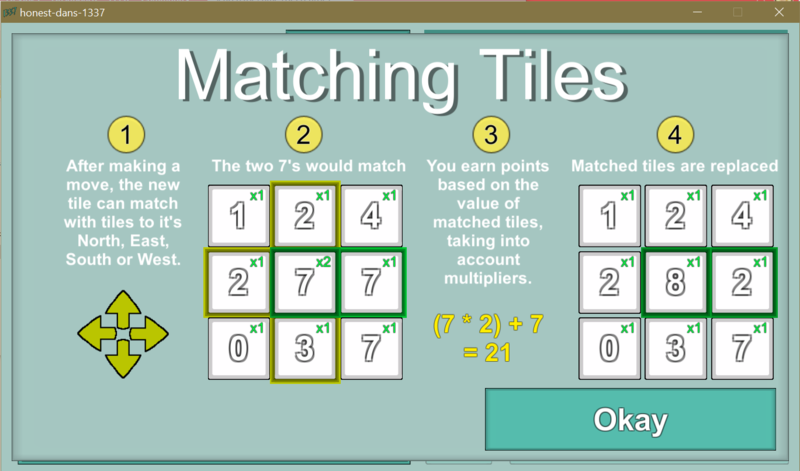 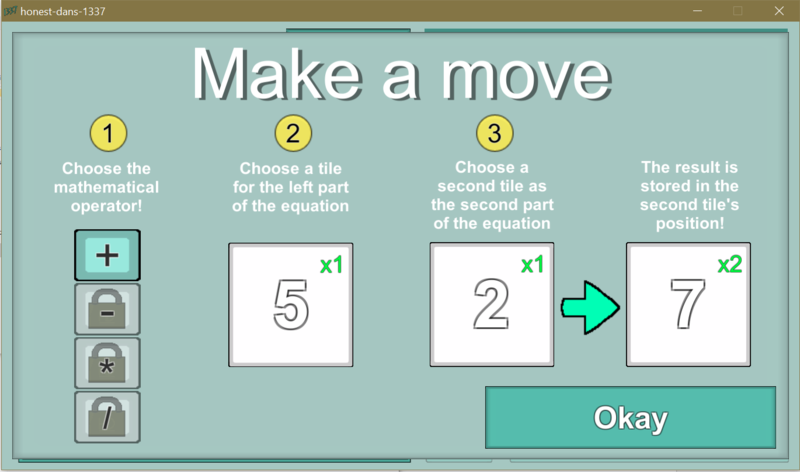 Use mathematical operators to combine tiles, in a quest to create the legendary 1337 blocks. 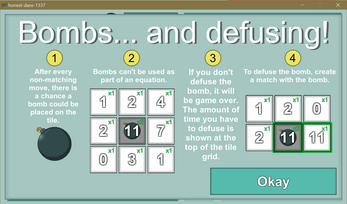 Match numbers together to earn score, defuse bombs and earn bonuses! 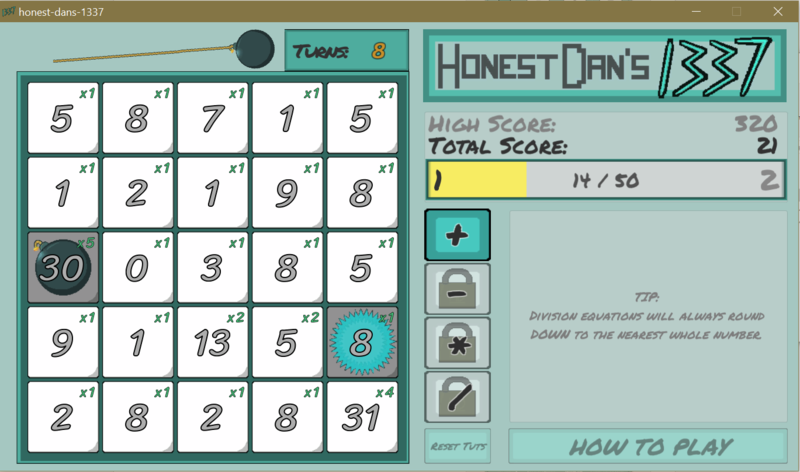 Day 3: Wrapping up the jam! 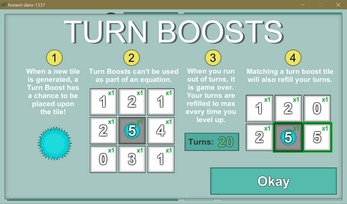 Day 1 of 3: Designing around the gamejam topic.